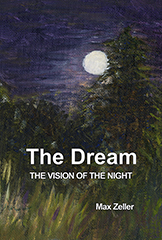 A classic in the field of dream analysis, The Dream: The Vision of the Night is a collection of essays, lectures, and vignettes by Max Zeller whose career included a law degree, a brief imprisonment in a Nazi Concentration Camp, study at the Jung Institute in Zurich, Switzerland, and thirty years of in-depth work as a Jungian analyst. In the eighteen pieces of this collection, Zeller intersperses theoretical writings, compassionate and incisive case studies, and powerful, almost haiku-like reminiscences of certain incidences in his life, from his meetings with C.G. Jung to his impressions of life in pre-war Nazi Germany. The Dream: The Vision of the Night is the best example of amplification of Jungian principles that can be found. Neither pure research nor pure memoir, the collection is an affective combination of both, and as such best portrays the spirit of its author: always restless and searching, always compassionate and open-minded, and above all, always fascinated by the mystery and power of our dreams. A long-time pillar of the Jungian community in California, Max Zeller received his legal doctorate in Berlin. After completing his Jungian training in 1938, he and his family were soon forced to flee Nazi Germany. Zeller eventually settled in Los Angeles, where he was co-founder of the C.G. Jung Institute. A warm, witty, and insightful analyst, he continued learning, teaching, and practicing until his death in 1978.